Certified Master Food Preserver - Canning Homemade! Last night after I wrote the post for the blog I remembered that I should have mentioned that this experience being at the Extension has been eye opening as well. This program that I have been so lucky to be involved in are all but extinct. I hope that all 29 of the graduates in some small way can network to find support for saving this program. I was really waiting for and found today to be a whirlwind of information and canning. Our group at station three got to class around 7:30am as we had to do some prep work for our pickle relish. In doing a pickle relish you have to chop the cucumbers, peppers, and onion, salt them and soak in water for two hours before cooking and preparation. While we were prepping, our other classmates were busy pulling the dried fruits and vegetables we had dehydrated from the night before. If additional time was needed they went back on the trays and back in the dehydrators. But what was complete was a tasty treat. The Banana's were nothing like the store variety. They were sweet and chewy and not a mushy consistency. The cherry tomatoes, which I think was the class favorite, were little bites that burst of natural sweetness and the flavor was intensely tomato. Many of us were curious about the giant applesauce and red hot fruit leather. It looked great but I think that this won't be my first choice for my dehydrating practice at home. As we all got a taste of our hard work we moved right into the first lesson of the day. 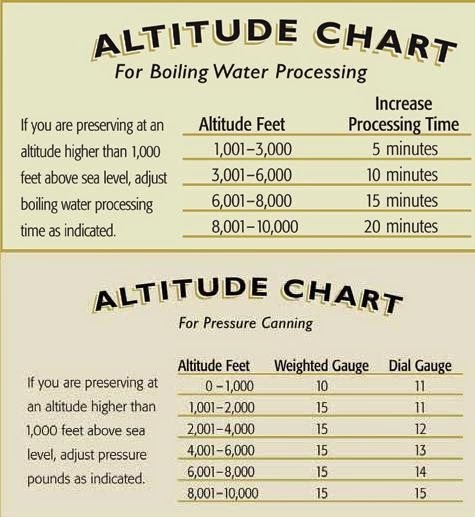 Pressure Canning. I was very excited though I have pressure canned now several times but my goal was to be able to figure out the art of canning meats. We watched a DVD with basic instructions on how to use a pressure canner and then we were sent on our way to the kitchens to prepare our recipes. Carolyn and Jana, our instructors from Utah State, planned out an exciting array of meat, pork and poultry canning that spanned from a raw pack to soups and even meatballs. Yes I said meatballs. Our group had the round steak and were asked to do both a hot pack and raw pack of this fairly inexpensive meat. The key statement that Carolyn made that changed my mind about meat canning was that an inexpensive cut would do very well since you were going to pressure can it 75 minutes and tenderness of the cut was not going to be an issue. That was all I needed to realize the potential for this type of canning. I wanted to share all the fantastic pictures of how great the canning went after the pressure canner was opened and our meaty goodness was ready for "putting up". From the pressure canning we moved right into pickling. Again the range of recipes we were given was fantastic. Pickled carrots and jicama, pickled peppers, dill pickles and asparagus, and our two recipes; Sweet Pickle Relish and Dilly Beans. Yesterday I was excited because our group had the opportunity to can the only blueberry pie filling. Well it turned out amazing. After we were done with the pickles we were asked to make our pie. With a pre-made pie crust, a quart of our homemade blueberry pie filling, and a lot of creativity we had a work of art ready for the oven by lunchtime. Our lunch was quick, but the smell in that room was a baker's dream. Six pies occupied the ovens and the smell of apples and cinnamon left us wanting dessert. We needed to work on salsa's and tomatoes in the afternoon and do our recap for the final test. The instructors planned a game, more of a trivia, about canning for the groups to participate in. The questions were things that we covered and it was a good way to break up the time in the kitchen. We all knew the test was looming and it was a good way to get a refresher of what we had been taught. After the fun of the trivia game was over we had some additional education on the canning of tomatoes. We again scrambled to our kitchens to make the final recipe of our two days in class. Salsas! The groups did a variety from mango salsa, a basic Roma salsa, peach salsa, and our task, Tomatillo Salsa. It is known now in my household that I have had some rather not good luck with the green little suckers and the last batch of tomatillo salsa I made was not at its best. My best foot was forward to try to redeem myself and figure out what I could have done wrong. Each group was also able to choose the type of "heat" peppers it wanted to use for the salsa. We used poblano and jalapeno. Twenty minutes later and a final push to get everything canned and stations cleaned; I never got to try it. This note is for Debby, Barbara, Sara, and Tery... please let me know how it turned out. I hope it was good. Before our final test the pies were cut and our little group raised our plates to our beautiful creation and our station went silent as we savored the perfect taste of our blueberry filling. The consistency was luscious, color was vibrant, and it was truly the best fruit filled pie that I had ever eaten. The filling wasn't overly sweet as some tend to be and it was a bonding moment for the five of us as we enjoyed our hard work. When the stations were cleaned, the food and jars packed away, and the class took their seats there was a low hum as we all took the final stage to becoming Master Canners. The test. But given all we had learned the test was a breeze. During the game earlier they had covered most of the questions and the rest were all things that over the last two days we had touched on or talked about while doing all those recipes. With the answers read and the work behind us we have become certified. The class of April 2011 has been given the status of Master Food Preservers. As we left the building we knew our work wasn't done and all headed our separate ways. During our drives home we reflect on so much that we have learned. How exciting it was to bring home a skill that has been passed down over the generations and somewhere along the way has found resurgence and need in our communities to have experts to rely on. We are a mix of generations in the class with many goals of how we will use this new found knowledge. But our one single goal will be "paying it forward" and continuing to educate future Master Food Preservers.